టి.యస్ ఈసెట్ 2019 హాల్ టికెట్ – TSECET Admit Card 2019 available for download. The Telangana Higher Education Commission will release the Admit card for ECET 2019 Exam. The candidates who have applied for Telangana Engineering Common Entrance Test can download the TS ECET Hall Tickets 2019 from the direct link provided here. Also find TSECET Exam dates, Exam Venue and more details provided in the below sections. 3.2.1 How to Download TSECET Admit Card? Jawaharlal Nehru Technological University, Hyderabad will be released the Admit card for TS ECET 2019. The applicants who applied for Telangana ECET can download Hall Ticket now. 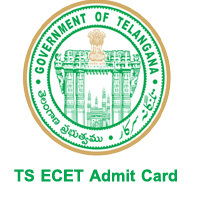 Download TS ECET Admit card to write the Examination. Telangana ECET Hall Ticket 2019 is the main document required to write the Written Test. The applications should fill correct details like Registration number & Password/ DOB to get the Hall Tickets of ECET Exam. Click on the TS ECET 2019 Hall Ticket Download link provided below. Name of the Board Jawaharlal Nehru Technological University. Examination Name Telangana Engineering Common Entrance Test. Application starting date March 2019. Admit Card available for download 4th to 9th May 2019. Jawaharlal Nehru University, Hyderabad will organize the ECET 2019 on behalf of Telangana State Higher Education Council. The students who have completed their Diploma in Engineering/Pharmacy/Technology/ITI from any recognized University and want to do BE, B.Tech and B.Pharmcy are applied for ECET. Candidates who are having minimum 45% pass marks in their Diploma are eligible to apply for Telangana State ECET 2019. The applicants who have already applied are waiting for Admit card to take the exam. The ECET 2019 Admit card will be released tentatively in the month of April. Now it’s time to download the TS ECET Hall Tickets 2019 from the direct links provided below. The students who have completed the ECET 2019 application process started their preparation to get good rank in this Telangana Engineering Entrance Test. So, the candidates who prepared for ECET 2019 already downloaded the TS ECET Exam Syllabus & ECET Exam pattern. Telangana ECET Exam Papers will vary for the different streams. So, we have provided the TS ECET Exam Pattern and Syllabus separately for different streams. Syllabus and Exam Pattern gives you a clear idea about the question asked in the examination. So that, aspirants can easily answer the questions in Telangana State ECET Exam 2019. So, download Syllabus and Exam Pattern of 2019 TS ECET and prepare well. In this section, we have mentioned the list of Regional centres where the TS ECET Examination is going to conduct. The centre allotted for you will be mentioned in your TSECET Admit Card 2019. Telangana State Higher Education Council will release the Hall Tickets shortly for the exam going to held in the year 2019. The candidates who have already applied can TS ECET 2019 Hall Ticket Download to write the Exam. Along with ECET 2019 Admit card, you can check Exam Dates, Timings and Venue of TS ECET 2019 Exam also. Check the easy steps to download TS ECET Hall Ticket 2019 provided below. How to Download TSECET Admit Card? Click on Link “Download the TSECET 2019 Admit Card”. Enter the details like reg number, Date of Birth and required. Your Admit card will be generated. Download TSECET Admit Card 2019. Therefore, here we have provided the Link directly for TS ECET Hall ticket Download 2019. So, the applicants who want to download TS ECET Hall Tickets 2019 can follow the above-mentioned steps. It is better to Download Telangana ECET 2019 Hall ticket before the test. Keep visiting for the official news of TS ECET 2019. Couldn’t able to find “download admit card link”. Sir i had lost my login id, iam trying to regenerate the login id and password. It is showing that the details are not correct, plesae tell me a way to find tbe solution sir…. i have got 12440 integrated rank then in which college i will get the seat.